All New! Image Driving School is now offering a class to help potential drivers pass the permit test given by the D.M.V. This class is being offered for those who may need a little help in taking the test by reviewing over 100 questions and explanations / answers, that will be similar to the questions asked on the test. 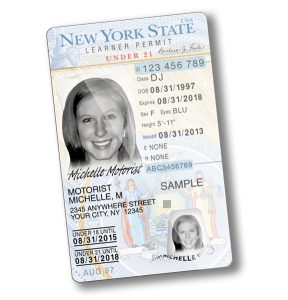 Although you can’t get the permit directly from us, after taking the class, you will arrive at the DMV fully prepared to ace the exam. Our sample questions and experienced Instructors will give you the confidence and the knowledge to take the first step on the road to being a licensed driver. • Please bring valid I.D. and your drivers manual to the class. The class fee is $25.00. • We’re so confident you’ll ace the permit test, that if you fail, you can retake the class FOR FREE! • Classes are by appointment* with the instructor, and given Mondays Tuesdays, Thursdays. & Fridays, based on instructor availability. If the attached dates are not good for you – Contact us and we will set up a class that suits your schedule! *Appointment requires payment for class prior to class date for reservation.